Every season needs a jacket. 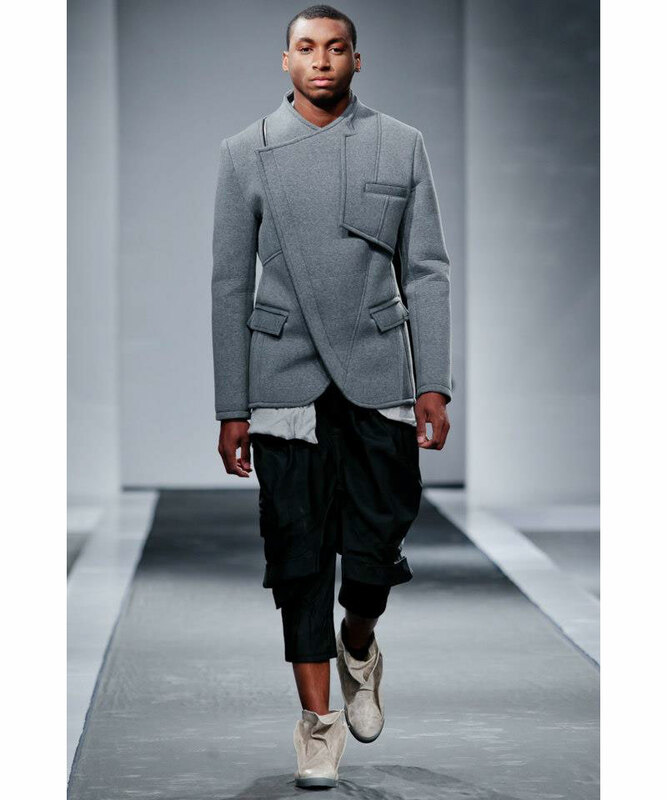 This asymmetric topper by Pirosmani in a sporty grey is the perfect transitional piece. Wear during travel, for the ultimate in stylish layering while jet setting. It pairs well back to a cropped pant, to keep the proportions of your outfit on par for Spring. 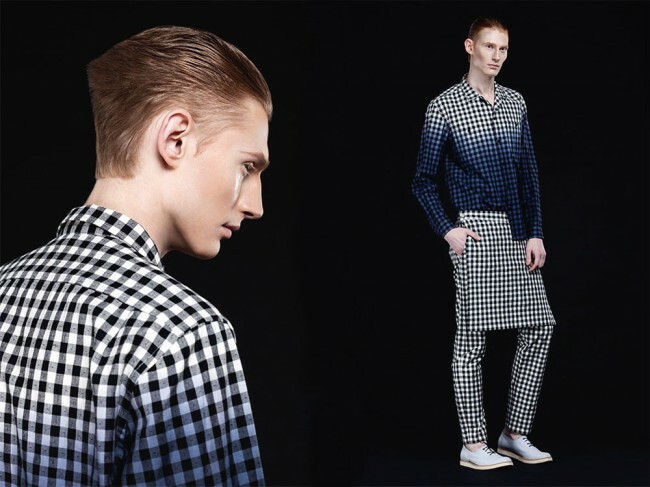 Life’s a picnic in this gingham suit by Sasha Kanevski. The ombre element in the shirt is right on trend this Spring. Cook out in style in a print that screams summer, and outdo the table linens while you’re at it. Keep the look in check by pairing it back to a solid, neutral brogue shoe. The skirted pant is not for the timid: fashion forward males only! Skip out on this look when barbecuing! However, wear all summer long to (nonfood related) sporting events. This outfit by Leonid Alexeev would be perfect for a polo match. Preppy, clean, and classic, it epitomizes the tradition out of which summer sporting activities were born. Appear stylish on the sidelines, and beat the heat! You must be hip to pull this one off. 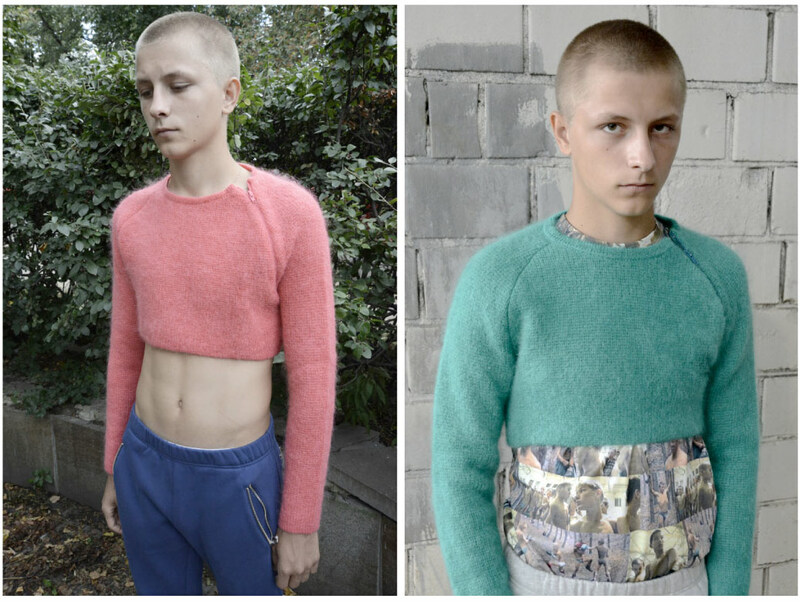 The avant-garde cropped sweater by Gosha Rubchinskiy is a great way to showcase those abs you’ve been working hard on, while keeping your arms insulated on a cool, summer night. Wear this look to an evening rooftop party. It gives a relaxed, yet well-kempt vibe. Let the compliments begin! The striped, open-weave sweater by ARTEMKLIMCHUK is a summer staple with its nautical feel. This one was meant for the seas. The weight is not too heavy, and the coloring is a great springtime change from black. Wear this high-class look on a boat, or while yachting to be specific, and enjoy the breeze. When styled with a pleated trouser, the look is one of ultimate sophistication.